This awesome four-year-old male Dachshund mix was surrendered to us when his family had to move to another state. They could only take one dog and Odie drew the short straw. He came to us totally freaked out at being abandoned by the only family he had known. He has adjusted well and has become a very social little fellow. He is good with all dogs and cats. I haven’t seen a person he doesn’t like. Not so fond of aggressive Great Pyranese next door at his first foster’s home. He came charging through the invisible fence and grabbed him and most likely would have killed him if his foster Dad wasn’t a superhero. He is now in another foster home and adjusting just as well. He is a super loving and affectionate little guy. 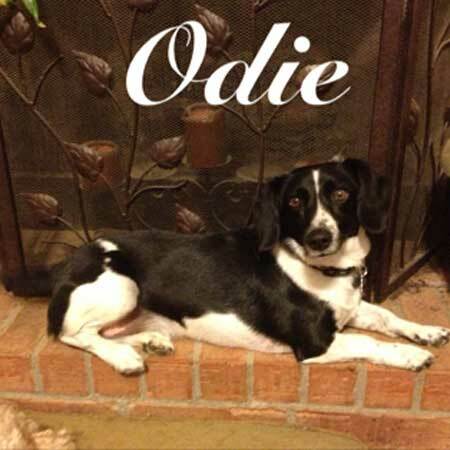 Odie will dart out the door if you give him half a chance, but usually doesn’t put up much of a chase. He is heartworm negative, current on vaccinations, and neutered. He weighs approximately 15 lbs.